While Christmas delivery may be a stretch, the keys to this new home under construction in the boutique Edenbrook Estates development would make someone very happy and if purchased soon, the new owner can truly make it their own by customizing the finishes. Shouldn’t that new owner be you? Edenbrook is tucked off Liberty Church Road north of Concord Road and east of Edmondson Pike. 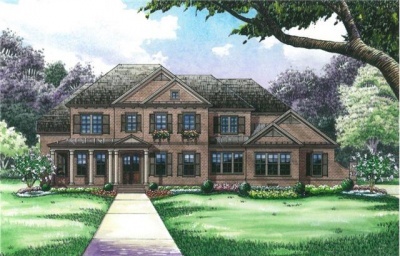 Located at 9516 Edenbrook Court, the 4,675-square foot home when complete will have five bedrooms, five full and one half baths and is situated on a full acre. Located in a prime Brentwood location. Listed at $899,900, it is being built by Legend Homes, a local homebuilding company that has built its reputation on craftsmanship and quality. While Christmas delivery may be a stretch, the keys to this new home under construction in the new boutique Edenbrook Estates development would make someone very happy and if purchased soon, the new owner can truly make it their own by customizing the finishes. Shouldn’t that new owner be you? Edenbrook Estates is tucked off Liberty Church Road north of Concord Road and east of Edmondson Pike. The new development features one acre-plus lots that will be the envy of your friends. Lots are priced from $249,900 to $469,900. For this home already under construction, the floor plan reveals a well thought out layout that provides large open spaces for entertaining and smaller, private rooms for more intimate gatherings, peaceful reflection or work. The home’s center and heart is the large family room with a fireplace. It opens to the huge kitchen and breakfast room and has direct access to the covered porch – which has an optional fireplace all its own. Also found on the main floor is the spacious master suite, with his and her vanities and walk-in closets; and a guest room with its own full bathroom. A study/office, formal dining room and a laundry suite with natural light, lots of counter space and a built-in desk are also located here, as is the three-car garage. Upstairs, the future residents or guests in the three large bedrooms – each with a separate bath – will enjoy both a large bonus room as well as an optional media room. The large, private lot has beautiful views. Zoned for nearby Edmondson Elementary and Brentwood middle and high schools, more information on this new home is available by contacting Sherrie Brown Cavin of Benchmark Realty at 478-4079. Click here to see the full listing. 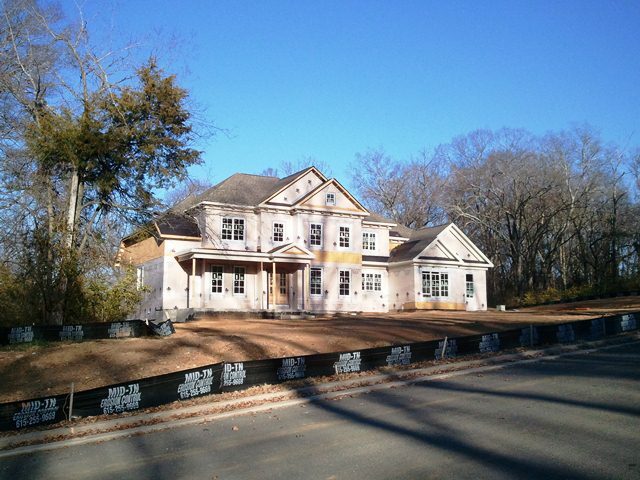 Below are both construction photos of the actual home and lot as well as photos of a model home built from the same floorplan.